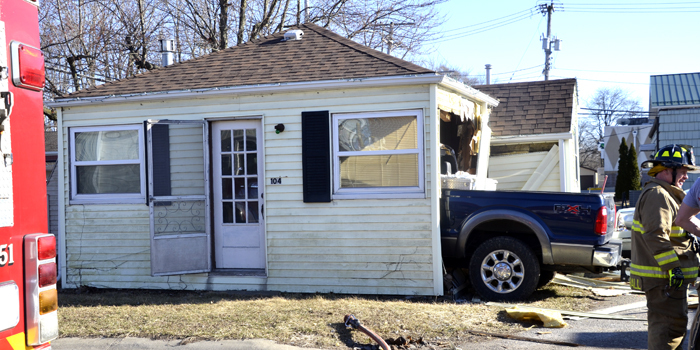 A Ford Super Duty F250 left the roadway, striking a house near the intersection of Buffalo and Prairie streets in Warsaw. 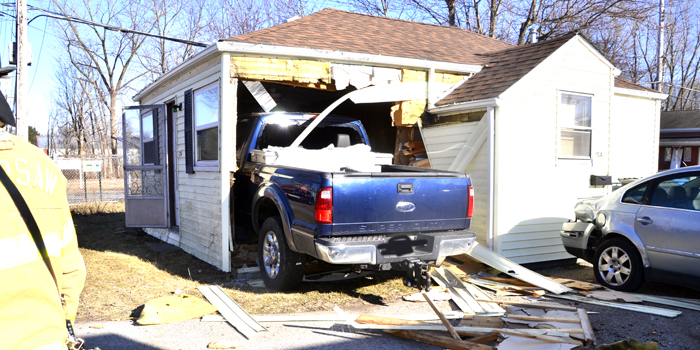 WARSAW — At approximately 5:15 p.m. Saturday, March 23, Warsaw-Wayne Fire Department and Lutheran EMS were called to the scene of an accident where a truck struck a house. The accident occurred at 104 East Prairie Street. According to initial information provided at the scene, the driver and occupant(s) of the vehicle were transported by ambulance for precautionary reasons. Injuries are believed to be minor. 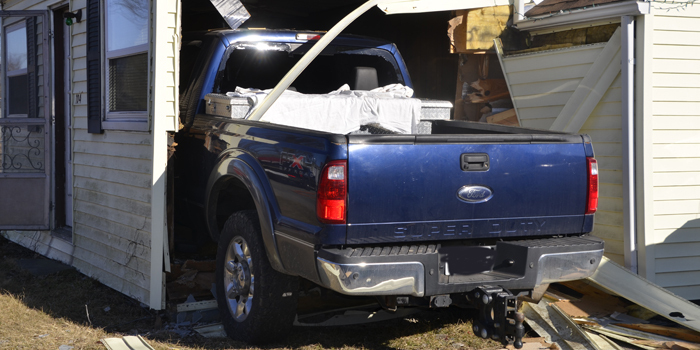 Officials at the scene stated that no one was in the home at the time of the accident. Winona Lake Fire Department and Warsaw Police Department were also on scene. The scene of an accident early Saturday evening, March 23, on Prairie Street in Warsaw. 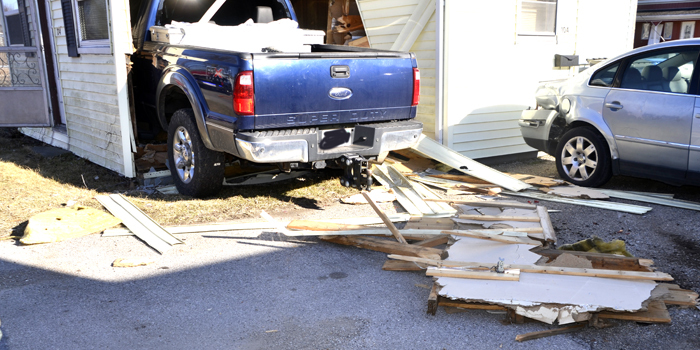 A truck struck a house on Prairie Street in Warsaw early Saturday evening, March 23.